RHA Builders, Inc. was established by Rick Arteaga in 2015 after successfully co-founding R·E West Builders, Inc. in 2006. During its history, the firm completed several public works projects including a senior center in Middletown, CA, three transit projects in Sonoma County, CA, a university field laboratory/multipurpose building in Hopland, CA, and an elementary school administration building in Novato, CA, along with multiple multi-family housing projects. Located in Rohnert Park, CA, RHA Builders, Inc. specializes in multi-family residential, custom residential, commercial, and medical office projects. 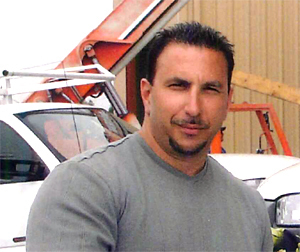 Rick Arteaga is the owner and General Contractor of record for RHA Builders, Inc. With more than 25 years of experience, Rick has been responsible for managing residential projects and multi-million-dollar construction projects across Northern California. His current job portfolio represents his dedication to client satisfaction and customer service second to none. Rick is an active member in the building community as part of the Construction Specification Institute (CSI) and North Bay Builders Exchange.